The most beautiful cosmetic you can wear is a healthy skin. That's why everything developed by Jane Iredale is a true extension of skin care. This makeup line, proudly carried at Serendipity, is not just a refinement of conventional makeup; it's a new technology. Jane Iredale's micronized mineral bases are, in fact, concentrated pigment. 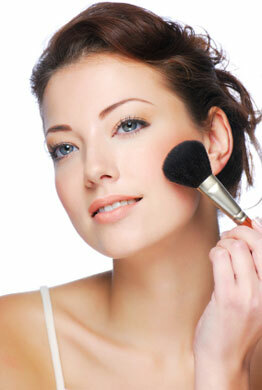 Because of this, a minimum amount gives unsurpassed coverage and becomes a foundation, powder and concealer all in one. This concentrated pigment also gives high sunscreen protection without the need for synthetic ingredients. It's healthy, natural and ultra-gentle on even the most sensitive skin. Jane Iredale's SPF 20 PurePressed Bases & SPF 20 Amazing Bases are formulated with titanium dioxide and zinc oxide, pure minerals that give instant, broad-spectrum, chemical-free sun protection. They also have a Very Water Resistant rating, important for our humid weather. And, using this product eliminates a step in your daily skin care routine – foundation and sunscreen in one! Application is simple and fast! You'll simply apply Jane Iredale foundation with a brush or a sponge for coverage that it would normally take three products to achieve. The result will look sheer and luminescent…and will feel completely weightless. Further, Jane Iredale's products have zero perfume, chemical dyes and chemical preservatives. These are the top three sensitizers for skin. Jane Iredale's mineral makeup is great for using following most procedures….it covers beautifully and is gentle to even treated, recovering skin. Our trained aestheticians will help you choose the right products and colors in Jane Iredale's impressive makeup line for your skin.